Businesses involved in the manufacturing and trading of goods and services carry a great deal of economic and financial risk. Businesses risk devastation in natural catastrophes. There’s the risk of attracting lawsuits from aggrieved employees and customers who ask to be compensated for losses. All the hard work involved in creating assets and building the business needs protection from every conceivable risk. The majority of businesses function as single-owner proprietorships or as a partnership between two or more individuals. Proprietors and partners that fund businesses run the risk of being held personally liable for losses. An inside liability arises when an employee or a promoter sues you. If a creditor or banker takes you to court, that generates an outside liability. In either scenario, if you’re incorporated as an LLC, your personal assets are protected. The LLC status safeguards the owner through “charging order protection.” This means that a banker filing a lawsuit can recover his dues either from the profits of the company or through the sale of company assets, not the owner’s assets. A bank can serve a court “Garnishment order” attaching the salary of the owner. But such an order can be sidestepped by stopping salary payment to the owner. Legal action against promoters becomes difficult if the state has LLC-friendly rules in place. Drafting an operating agreement is crucial to asset protection, but this elementary precaution is neglected in the hurry to set up the LLC. The operating agreement outlines the roles of the owner and partners. It also defines the rights and responsibilities of managing partners running the business. This is a good way of limiting the damage of internal and external lawsuits. It is much more difficult for a creditor to file a suit attaching personal assets of an LLC owner compared to shareholders of large corporations. An operating agreement in an LLC offers more personal liability protection than a partnership agreement. In a general partnership, you could still be held 100 percent responsible for the action of a partner, even if the action is not authorized by you. Creating an LLC abroad may bestow multiple tax advantages that investment-hungry nations offer new businesses. There is also the additional advantage of moving away from the jurisdiction of courts in the US. Business Income Insurance: Your home or property may not be damaged in a catastrophe, but you can lose income due to the stoppage of business activity. Insurance compensates for the loss of income. Personal Liability Insurance: A general liability insurance policy covers damages to property or injuries to a third party. Product liability insurance covers defects in products and services. But never neglect personal liability insurance. It protects you from third-party suits claiming you were negligent or deficient in performing a service. Comprehensive Vehicle Insurance: Covers not only the damage to third party property and injuries but also covers damages suffered by company vehicles. Property Insurance: Covers almost every risk associated with property damage. But you’ll need additional cover for natural calamities like earthquakes and floods. Workers Compensation Insurance: Company workers may suffer injuries, personal disability or death in the performance of their work. The policy covers treatment and associated costs that companies would otherwise bear. Home Business Insurance: If you’re working from home, this policy covers the cost of professional equipment, furniture, and inventory loss. Meticulous bookkeeping and preservation of records bestow multiple advantages. Neatly cataloged expenses help reduce your tax obligations when the accounting year closes. Creditors will be happier if they can assess your performance using company data; better performance means improved access to loans. Hold regular board meetings and document the proceedings. Develop a well-oiled system to monitor quality control and resolution of public grievances. Prepare backups of sensitive records and performance data. Update asset inventory and place liabilities under closer scrutiny. Separate personal income and assets from company profits and infrastructure, and never mix the two. Remain well informed about the legal obligations of forming an LLC to avoid becoming personally liable for business failure and losses. Unlike large corporations with rigid management structures, LLCs follow more flexible leadership models. Over 80 percent of US businesses are owned and operated by families. Assets become compromised when a business owner passes away or becomes incapacitated. Family members or vested interests may file lawsuits jeopardizing company assets and ownership. Change in ownership can place a company under great stress if a clear succession plan is not in place. It’s best to identify the replacement owner and document it legally, clearly outlining how the succession should proceed. Specify how the company’s management undergoes change, and what the new management’s roles and responsibilities will be. For uber-security, combine the business succession plan along with a personal estate succession plan. A general overall legal review can save your business thousands of dollars in damages and penalties following regulatory violations and non-compliances. A legal review can spot the weakness in contracts and agreements before they reach the execution stage. Major asset protection compliances that need attention are the Dodd-Frank Act that covers the financial aspects of consumer protection measures, the Health Insurance Portability and Accountability Act (HIPAA) covering the confidentiality of healthcare data, and the Sarbanes-Oxley Act (SOX) that safeguards against fraudulent corporate practices. From fire and theft to natural calamities and terrorism, business assets face multiple threats. Preparing a disaster recovery plan ensures the survival of the business in a worst-case scenario. Transferring business processes to the cloud and backing up sensitive data will ensure asset protection if things go wrong. The cost of preparing a disaster plan is minimal and pales in comparison to the confidence one gains of getting the business back on track following a disaster. One way of protecting an asset (like one’s residence) is to place the asset in an asset protection trust. If the trust is located in another jurisdiction, it moves beyond the legal interference of divorce proceedings. In most states, creditors can’t attach insurance death claim settlements owed to the spouse or children of the deceased. Such a policy ensures that wealth can be passed on to the coming generation, overcoming legal threats. Many small, medium and large corporates have global exposure and are creating non-US affiliates located offshore, outside US jurisdiction. This means that a company can build and maintain a profitable offshore entity and stash profits and assets abroad. What we have outlined is the tip of the iceberg in regard to asset protection strategies that businesses need to implement. Skilled professional advisory services and legal consultation will unearth options that are best suited for your business. 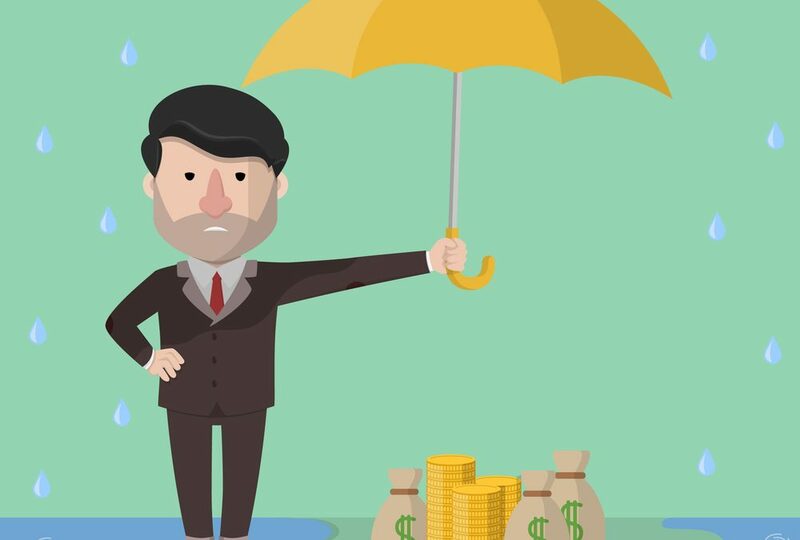 Every business may not have an offshore affiliate in its radar, but basic asset protection plans are all that are needed to safeguard business interests and assets at minimal cost.